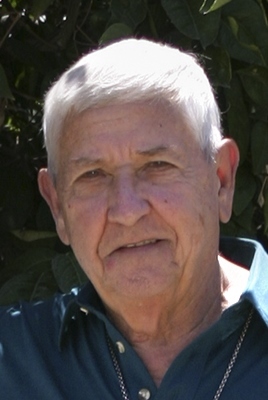 Lawrence (Larry) Dennis Rohde, age 86, passed away on May 20, 2018 in Mesa, Arizona. He was born on November 23, 1931 in Chicago, Illinois. He is survived by his wife Joan Harriet Rohde, his children, David (Sandi) Rohde, Jill (David) Arzouman, Laura (Ted) Leemaster; his grandchildren, Amanda, Matthew, Andrew (Ali), Jacob, Daniel, Bailey, Dillan (Mike), Gabriella, Kayla. Larry was a Sergeant for the police department in Berkley, Illinois and was in the Air Force for 4 years. He served as a trustee and worked in the sound room at his church. He volunteered at Banner Baywood Hospital Pharmacy for over 20 years and was a member of the volunteer Maricopa County Sheriff’s Posse as a training officer. There will be a memorial service held on June 2, 2018 at Apache Wells Community Church (2115 North Gayridge Road Mesa, AZ) at 11 a.m. All are invited to a luncheon following the service. In lieu of flowers please send donations to Banner Baywood Hospice or Apache Wells Community Church.